Our 24/7 plumbing services and amiable staff will make it simple for you to get assistance quickly whether it’s a major or minor emergency. Service Today’s plumbing services have a rapid response within Yennora, which means if you encounter a plumbing issue and call us for assistance, we’ll have the first available qualified plumber to your site at the earliest. Until your plumbing problem has been looked over and solved, we won’t rest. Once the job is completed, our technicians will leave your site neat and spotless. Get same day plumbing service by calling Service Today before midday. Service Today renders comprehensive plumbing solutions for domestic, commercial and industrial projects. Whether you need plumbing service for hot water heaters or gas fitting, call Service Today for a prompt response and service. Our certified plumber in Sydney will attend to your plumbing issue and provide the right solution. We use authentic parts only and make sure superior workmanship is delivered to every plumbing job. 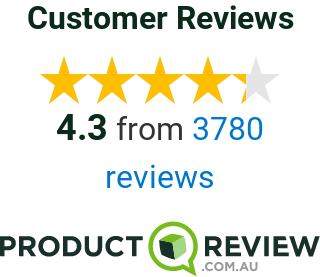 Service Today has been serving properties of Yennora for many years and we pride ourselves on rendering an unrivalled service to all of our customers. We provide discounts to pensioners and senior citizens. We provide upfront fixed price quotes for all plumbing jobs, which assists our customers to know the cost even before we commence the work. We don’t charge any hidden or extra fees. In addition, we give a personal service in which we provide a free professional advice without any compulsion. For a fast and trustworthy plumbing service, call Yennora plumbers on 1300 859 383.